The fund was set up in 2012 following the untimely death of Alex in a cycling accident. Alex had been gliding with the Cambridge Gliding Centre, initially as part of the Cadet scheme and subsequently to a high level of cross country and competition flying. The fund has been set up with generous donations from family, friends, gliding club members and employers, with a view to helping glider pilots under 25 undertake more adventurous gliding and/or enter competitions which (without aid from the fund) they might not otherwise contemplate. 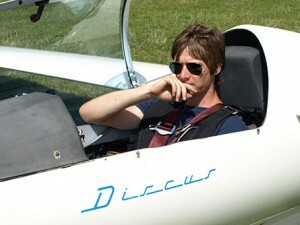 The club will make an annual award (where a suitable candidate is available) which should be used to provide a high level of accessibility to a glider or gliders for use by the applicant to further the object – encouraging him or her to undertake flying which develops the skills in the way demonstrated by Alex during his flying career. The most likely result of the award will be to buy one of the limited number of places on the Single Seater scheme. This gives full access to, and booking facilities for, use of the ASW24, Discus and Pegasus gliders. The Club will ensure that one space on the scheme is reserved for this purpose. The award details will be published annually in January and applications invited from pilots who will be under 25 at the beginning of the flying season; 1st April. It is expected that the pilots will already be qualified to fly at least one of the Club’s high performance single seaters and, if they do not already hold the BGA Cross Country endorsement, should be very close to attaining it. Applications should be made to the Club Secretary before the end of February. The application should be by letter, submitted electronically, laying out details of flying experience to date, aims and targets for the coming year(s), and giving information regarding the applicant’s non-flying commitments (eg education and work) for the coming season. Whilst a full financial picture is not required, an indication by the applicant of the way in which the award will affect their ability to enhance their gliding will be expected. The purpose of the Neville Anderson Young Pilot Award is to recognise and encourage enthusiastic cadets and young pilots by making an annual financial award in memory of Neville Anderson who loved to fly. 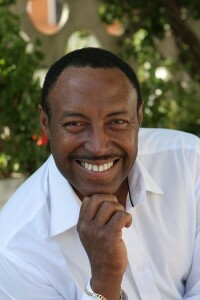 The award is donated by Neville’s wife, Anna-Maria Anderson and Neville’s sister, Delphine de Groot. Initially the award will be for £200 and may be increased or decreased by Anna-Maria in any year. It is intended to be available for 5 years from 2010. One award per year is available. The award will generally be made to one individual. A joint or group award may be made as an exception. Cadet scheme, from the Young Adults scheme, and from Cambridge University Gliding Club. Applicants must be in full time education and not in full time employment. The application should be by letter submitted electronically to the Treasurer, laying out details of flying experience to date, and explaining why you wish to be considered for the Award. For guidance, it is likely that the award will be made to an individual who will have flown regularly for at least a year and shown a high level of enthusiasm for flying and learning and who also gives time and effort to the club. The award will be advertised each year, with applications to be received by 30 April, and the award being made by way of a presentation of a cheque by Anna-Maria in May. In the event that no applications are received at that time, later applications may be considered during the relevant year. The award will be paid into the recipient’s flying account.